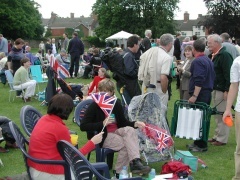 Stafford Orchard can be used for community events of various sorts. 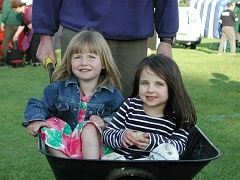 These may include fun days, horticultural shows, sporting events, concerts etc. There is a large level grassed area and a raised performance area with sockets for two standard sizes of canopies. Toilets near the main entrance, three phase electricity at the performance area, and water services are available. In addition the park is a beautifully landscaped area with a garden, sculptures, brook, multi-use games area and children’s play equipment. This is shown on the plan above. The performance area is approximately 10m by 10m and has ground sockets to accommodate 50mm scaffolding poles. These can be used to anchor a temporary gazebo or awning. The area is raised slightly above the main park area and the edges are grassed and sloping. If you orient your performance towards the park's main open area, you will be facing southwest. There is a free public car park on Station road, next to the main park entrance. Please contact us if you would like to discuss a booking and availability. It would help if you could first complete an application form. There is not usually a charge for community-based charitable events, that are not for commercial purposes or gain - but all applications will be considered individually. A deposit may be required, but this will be refundable if the park is left as it is found. 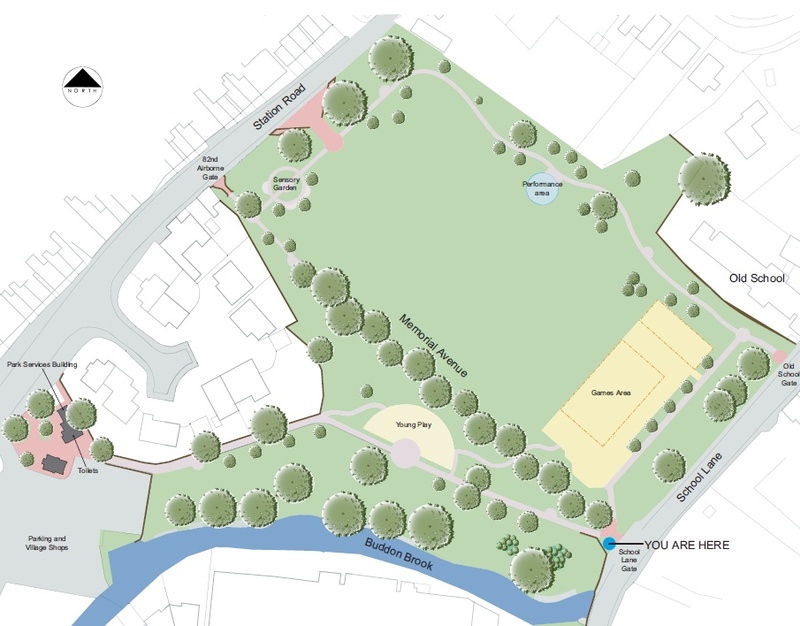 Quorn Parish Council is keen to encourage the use of Stafford Orchard for community based celebrations and events. 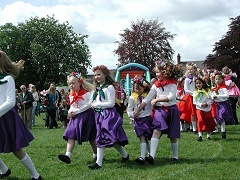 Small grants may be available from the Parish council to help new events get off the ground. Please contact us for details. 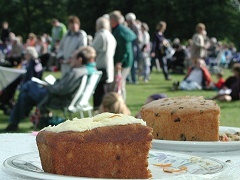 If your event is open to the public, you can promote it for free on the Quorn Village What's On listing. This appears on-line on this website, is emailed to many villagers each week, and is also printed and displayed on village noticeboards. It's a great way to get your public event publicised. Add your event here. There is also a news section on this website, so why not submit a news item in advance and a review of your event after it has taken place? It will help to publicise your event and generate interest for any similar future events that you organise. Contact this website.